The rooftop of Kaapelitehdas offers spectacular views over the sea, the harbour and the suburb of Lauttasaari. The views now serve as the perfect backdrop for meetings and parties as the recently finished rooftop sauna Verner is open for reservations. In addition to the log sauna, the rental space consists of a room for meetings and eating and a spacious rooftop terrace with breathtaking sea views. 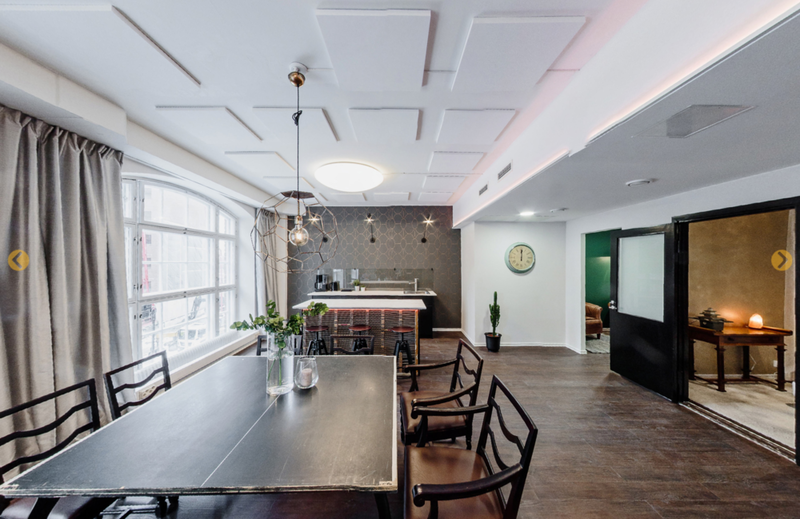 Kaapelitehdas commissioned us to photograph the space. We also produced a video and a 360° presentation that showcase the beautiful log sauna and its magnificent setting. Click the links below the photos to see the video and the 360° presentation. Click here to view the 360° presentation. 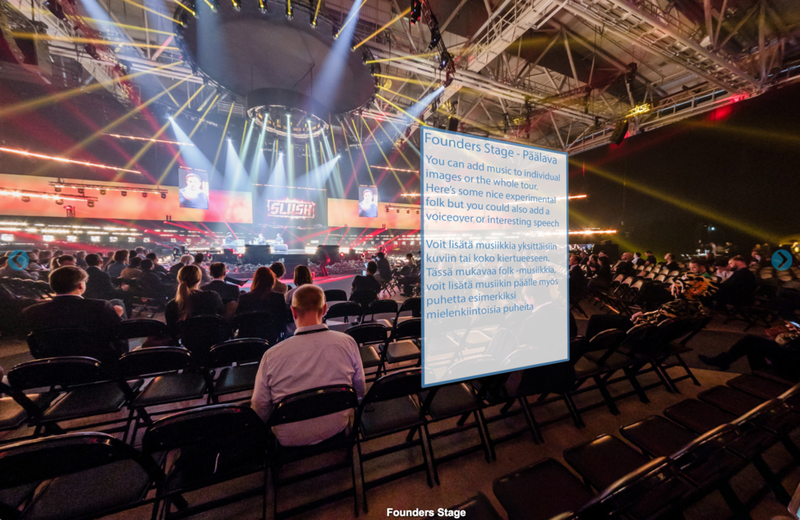 Slush is a two-day international startup and investor event, organized annually in Helsinki, Finland. If you haven't visited it, it's definitely worth checking out. It's like an awesome blend of business forum meets nightclub/festival where people are constantly pitching their ideas as well as getting a taste of the future. 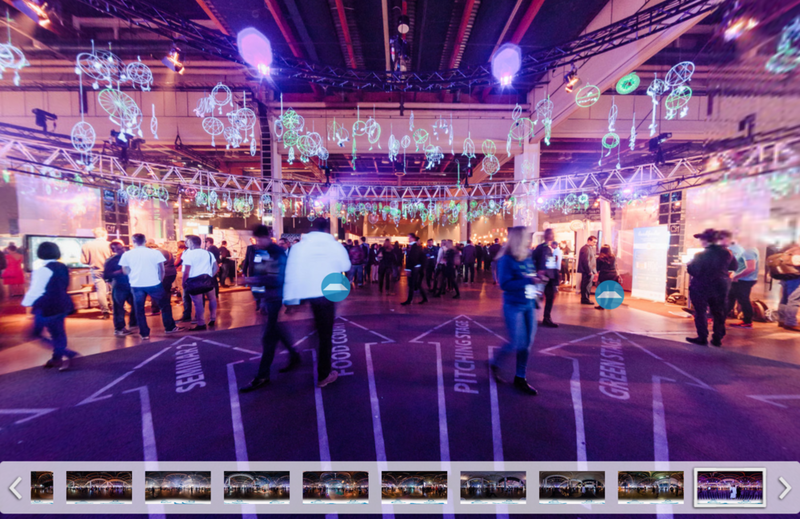 At this year's Slush, we had a rare opportunity to document the event in 360 photos, assembled here into a immersive virtual tour giving anyone the chance to get a glimpse of the event. Below are a few examples of different kinds of 360 image productions we provide.